Speaking of Daniel Craig, which we sort of were (he’s Rooney Mara’s co-star in “The Girl with the Dragon Tattoo,” but isn’t on the cover of W, perhaps because his character does not sport dark eyeliner and piercings), big news this week is that the James Bond franchise is back, after various problems with MGM’s finances delayed production for many months. 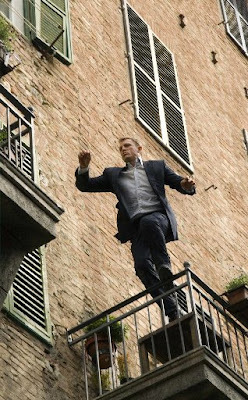 The 23rd Bond film, currently untitled, will begin production late this year and be in theaters November 9, 2012. Craig will return as Bond; Sam Mendes will direct. This is good news — particularly if Judi Dench’s M will be back — but can I just say that I miss Pierce Brosnan? No? OK then.